January 30, 2019 By Staff & filed under Blog. Easy Installation and improved WIFI at home has lead to a huge increase in home security systems that users can monitor on their smart phones from home or on the road. ‘Nest’ and ‘RING’ have self – monitoring apps that anyone can use to see and communicate with visitors on the other end. When compared to the normal monitored home alarms systems from ADT and others, these stand alone systems are gaining popularity for obvious reasons. One study has home security cameras and associated apps hitting the 1 billion dollar mark in sales within the next year globally. Most of the systems have options to record footage, zoom in and out, and archive interactions for future reference. 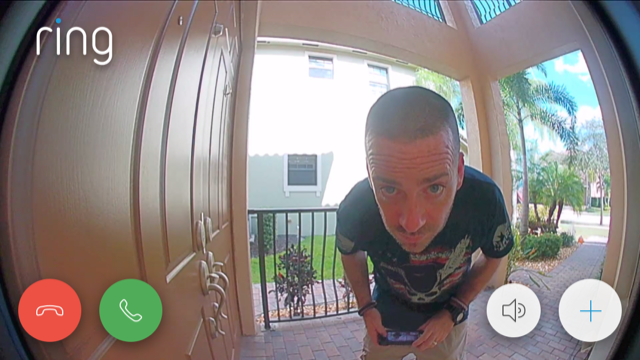 We see obvious applications to increase awareness and security for the average homeowner in America that wants to see beyond the standard front door peephole. Add in the increase of deliveries from internet retailers and home invasion risks in some areas, and this segment of the market is sure to continue its rapid growth. Do you currently have one of these systems at home? What do you see as the advantages, and are there any improvements you would like to see? Share here and start a discussion over on our Facebook page today! I have both the ring pro, bough 1st. QVC for $100, the added the Blink XT, a 4 camera set up, also QVC for $240. For me, researching and wanting a camera set up, I had planned on a hardwired install. After seeing the systems here, thinking of the ease of install and also being notified on my phone anywhere in almost real time. This was the deciding factor. Along with the affordable price and ease of my wife to use, a minimalist approach, not having a dvr and monitor somewhere, etc. The ring has an annual fee, currently $30 a year for one camera, or $100 for unlimited cameras. A short recorded clip is stored. I also get access to the neighborhood group. This is a community of Ring owners that share incidents so you are aware of what is going on in your area. They can share actual clips very easily in the app. I think this is set up like a geographic circle of about a mile. The Blink XT is the upgraded wireless camera set up owned by amazon. The cameras run on AA batteries and it comes with lithium batteries that are supposed to last a year. I have had mine for a little over 3 months now. The video storage is free, so no ongoing charges. These are waterproof cameras meant to be outside. There is also a temperature reading for each camera on your app so you can see that also. Both of these set ups offer a live view and also night vision. The ring lets you communicate with someone at the door. The Blink also records sound, or not, depending on how you set it up. All in all, I would buy these again and feel for the price, it’s tough to beat.